Kapalua Beach: Perfection Found on "Old Fleming Beach"
The beauty of Kapalua Beach (Old Fleming Beach) and calm waters make it a fantastic choice for Maui vacations. It beckons with gorgeous views of Molokai, gracefully swaying palm trees and fine white sand so perfect that it's even popular with the Hawaiian monk seals (who you might see sunbathing on the beach if you're lucky!) With all that, it's no surprise that it beat out 649 competing beaches to be named America's Best Beach in 1991. The generally calm waters off Kapalua Beach make it great for swimming, kayaking, stand-up paddleboarding, scuba diving and snorkeling in Maui. There are some nice coral formations here, and the easy entry off the beach makes it great for beginners. 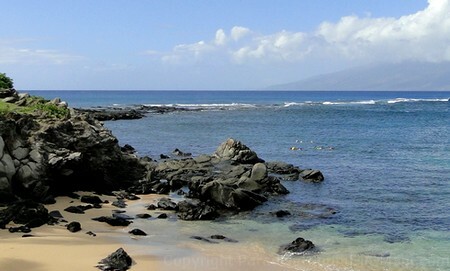 If you like snorkeling in Maui as we do, you'll want to take advantage of the ease of entry and calm waters here. 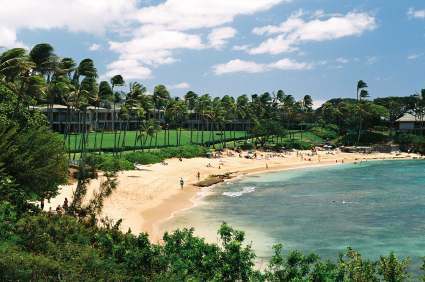 The Kapalua Bay Hotel is just off the beach, and has a beach activity desk where you can rent snorkeling and other watersport equipment. This beach can be prone to strong currents at times, so be sure to check regularly if you're drifting so you don't have problems getting back to shore. There are restrooms and showers located next to the parking lot. There are no lifeguards at this beach. To get here from Lahaina or Kaanapali, head north on the Honoapiilani Highway until you get close to Kapalua. Make a left turn onto Napilihau Street at the set of lights. Follow this street to the end where you'll make a right turn onto Lower Honoapiilani Road. Eventually, you'll see a large sign for the Sea House Restaurant on the left side of the road. 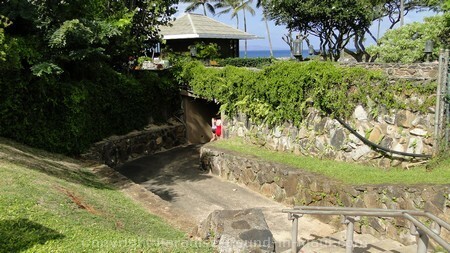 Keep driving a bit further, and you'll pass a long stone and wood fence reading "Napili Kai Beach Resort." Just past that will be a turnoff with a sign for the Kapalua Coastal Trail and a mention of beach parking. On the right side of Lower Honoapiilani Road is a blue beach access sign. Make a left turn here and you'll see the beach parking. There aren't a ton of parking spaces here though, so if you have your heart set on this beach, it would be best to arrive early! And once you're through the tunnel, the beach beckons! 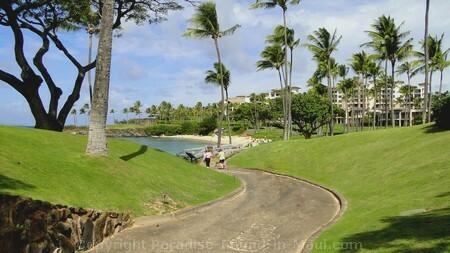 Go to Kapalua, Maui: things to do, where to dine, where to stay near Kapalua Beach!